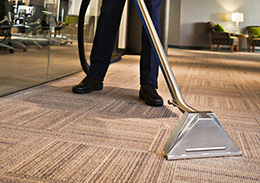 Our specialist carpet cleaning technicians restore and maintain all types of commercial carpets with outstanding results. We have the experience and we use all of the latest cleaning methods to ensure best possible results. Depending on the type of carpet and level of stains and soiling, we will choose the right method to transform and restore your carpets appearance. 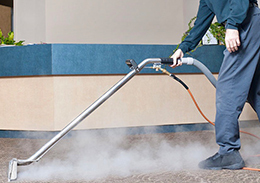 Our specialist carpet cleaning technicians restore and maintain all types of commercial carpets with outstanding results. We have the experience and we use all of the latest cleaning methods to ensure best possible results. It is recommended that all carpets are professionally cleaned at least once a year. In some cases heavily used commercial carpets will require a clean 2 or 3 times a year. We will work closely with you to provide a suitable maintenance programme for your premises or a one-off deep clean if you prefer. Commercial carpets with high foot-fall will require regular cleaning to maintain a good appearance. 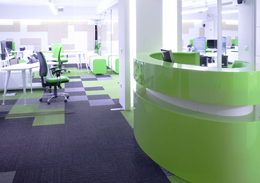 Carpets can be one of the highest costs in fitting out commercial premises and we are able to advise and provide periodic maintenance programmes to protect this investment. We are able to respond at short notice and can arrange for all of your carpet cleaning needs to be completed out of office hours, to avoid any disruption to staff.